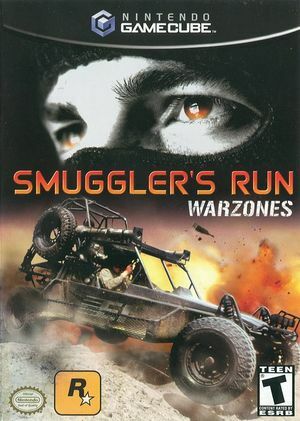 Smuggler's Run: Warzones is a video game for the Nintendo GameCube. It is a sequel to the game Smuggler's Run. Like the other Smuggler's Run games the object of the game is to deliver illegal cargo to various destinations in 5 large maps. Throughout the game the player goes through over 175 missions with different objectives from racing to destroying targets, to transporting and delivery of 15 different types of contraband within 20 minutes. The game also features a multiplayer component with 5 different modes of play. The graph below charts the compatibility with Smuggler's Run: Warzones since Dolphin's 2.0 release, listing revisions only where a compatibility change occurred. This page was last edited on 1 August 2018, at 10:42.